I am glad my “stash monster” found a good home. Another positive is that I uncovered a lot of scrap yarn that I had forgotten about. 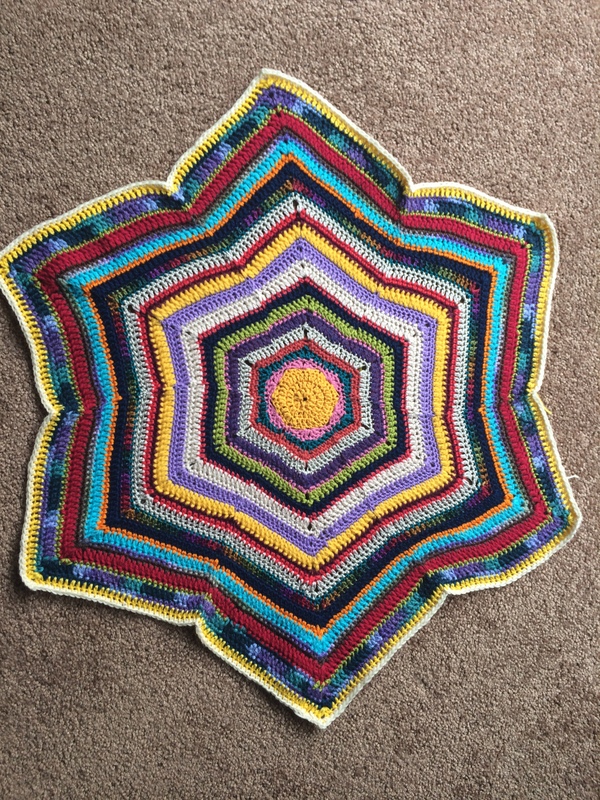 I am embarking on a challenge to create a star-shaped afghan for our spare bedroom. So far the blanket it about 28 1/2 inches across. I am using a Size H hook as some of my scraps are sport and DK weight. Keep checking back for progress!